Make your four-legged friend the newest member of the team with an officially licensed Michigan Wolverines Football Lace Dog Collar from GameWear®! 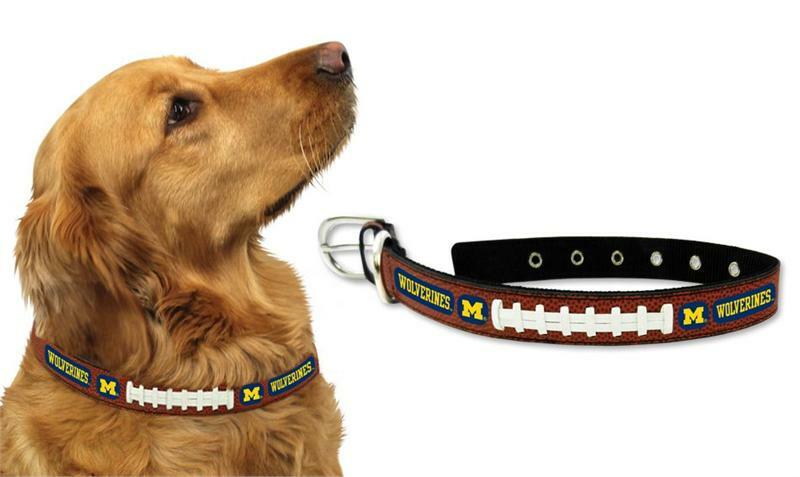 Each collar is handcrafted from football leather and laces, and emblazoned with the Michigan Wolverines logo and colors. Sizes: Small fits neck size 10 - 14 inches (16"L), Medium fits neck size 14 - 20 inches (22"L), and Large fits neck size 18 - 26 inches (28"L). Get your favorite four-legged friend in the game!! !